Be one of the first to drive the brand-new 2020 Kia Telluride! Secure your spot on the list by simply filling out this form. When the 2020 Kia Telluride arrives, we will reach out to you and schedule your exclusive test drive. Here’s to the great unknowns. 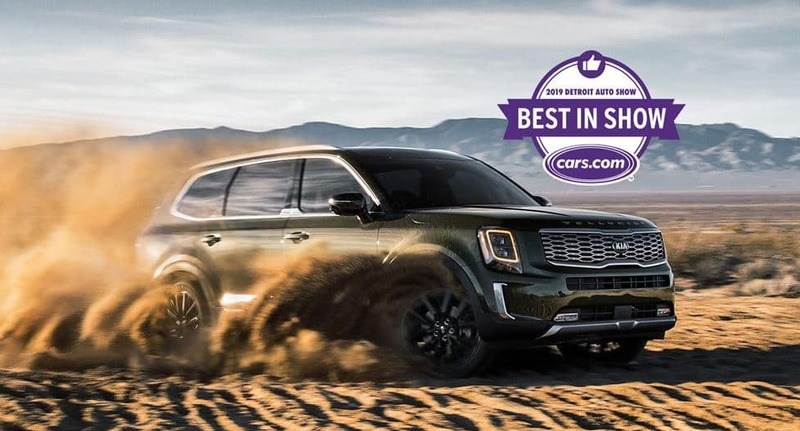 Discover the upcoming brand-new Kia SUV that Cars.com named “Best in Show” at the 2019 Detroit Auto Show. Command and control with an available 10.25” touchscreen display1, Driver Talk feature to amplify voice to rear passengers, Quiet Mode to only use front row speakers, and the ability to connect more than one phone over Bluetooth®2. Available reclining dual captain’s chairs3 slide forward at the touch of a button for 3rd row access, while rear passengers can also enjoy available dual sunroofs, standard USB ports. 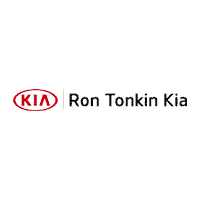 Kia Drive Wise systems4, like standard Forward Collision Avoidance Assist (FCA)5, use radar sensors subtlety integrated into the front fascia and commanding styling of the signature tiger-nose grille. Dial into terrain with the available Snow mode6and on-demand center-locking differential for off road capability. Command your on-road driving experience with 4 different drive modes: Comfort, Eco, Sport, and Smart. The Telluride’s 3.8L V6 engine pushes out 291 horsepower and 262 lb.-ft. of torque to master any road and power its standard Class III 5,000 lb. towing7 capability.